Stars: Ghilherme Lobo, Fabio Audi, Tess Amorim. 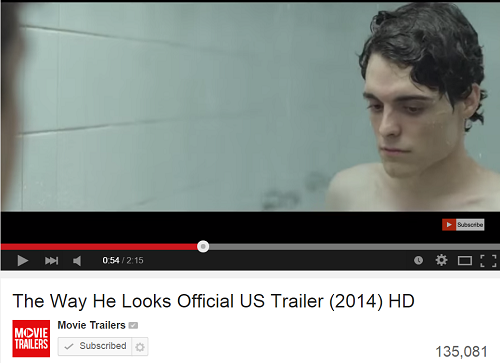 The Way He Looks (Portuguese: Hoje Eu Quero Voltar Sozinho â€“ "Today I Want to go Back Alone" is a 2014 Brazilian coming-of-age drama film based on the 2010 short film I Don't Want to Go Back Alone (Eu NÃ£o Quero Voltar Sozinho). It was directed, written and co-produced by Daniel Ribeiro, and stars Ghilherme Lobo, Fabio Audi and Tess Amorim, reprising their roles from the short. The Way He Looks opened in the Panorama section of the 64th Berlin International Film Festival in February 2014. 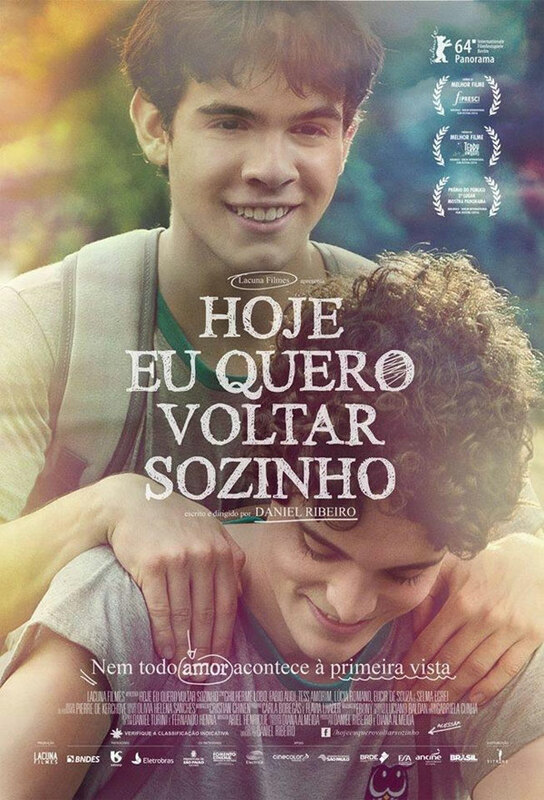 It was released to cinemas in Brazil on 10 April 2014. The film was met with positive reviews from critics and audiences; both groups praised Lobo, Audi and Amorim's performances, Kerchove's cinematography, the soundtrack and Ribeiro's direction. It ranked as the 5th most viewed film in the country on its first day of release.